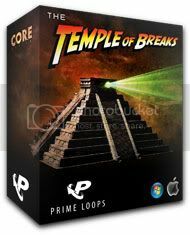 Prime Loops have release The Temple of Breaks sample pack described as a “deep vault of drum n bass breaks” suited to styles such as Drumfunk, Darkstep, Dubstep, Hardstep, Jump-Up, Liquid Funk, Sambass, Techstep, Neurofunk, Drill n Bass, Breakcore and influenced by leading artists such as Paradox, Calyx, Prolix, Noisia, Chase & Status, Nicky Blackmarket, Ed Rush & Optical, Moving Shadow, V Recordings, Full Cycle and a host of up and coming and current artists and labels. This new release contains 75 pounding loops of hack ‘n’ paste breaks, sped up to an inhuman 170-182 bpm, professionally mastered, royalty free and available to download in 24-audio quality. 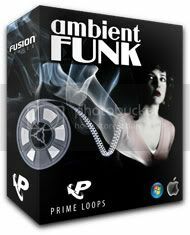 Available in formats such as WAV, Apple Loops or Rex2, so you can drop them straight into Cubase, Logic, Reason, Fruityloops, Ableton, Acid and many more sequencers easily. The idea behind The Temple Of Breaks Sample Pack is all about rhythmic imagination, with breaks like “Hitman”, “Overdose” and “Incoming”, this is an original source of breaks ready to chop, cut and have fun with. Check out the audio demo to get a feel for the pack. Prime Loops have released a new funked up selection of ensembles straight out of the studio, comprising of 380+ and weighing in at well over 500mb of Soundtrack Loops arranged in new experimental construction kits influenced by the likes of Bill Evans, Ennio Morricone, Isaac Hayes, Sam Spade, John Shaft, Quincy Jones and more. All the recordings in this sample pack are clearly labelled by musical key, ranging from 176bpm all the way down to a utterly relaxed 62.5bpm, giving a wide range of styles and tempos. The Author is Jean Baptiste, producer of the highly acclaimed “Planet of the Orchestra” which received numerous 5/5 reviews. This comprehensive 500mb library is grouped by instrumentation into 11 virtual ensembles, playing 76 different compositions. Pre-formatted as WAV, Rex2, Refill, Apple Loops, Ableton, and more, for maximum tempo flexibility and a full sampling experience. Every ensemble is further broken down into individual stems such as piano, bass, brass and guitar, so you can mix and match as much as you need, extending your compositions to fit any length. Combining the sultry sound of the sixties and seventies with the cutting edge synth technology of today, this pack has been lovingly crafted with great respect for hollywood heritage, sophisticated scales, classic instruments, telephone EQs, big basses and vintage compressors. Focussing on retaining the sparkling dynamics of the original sounds.